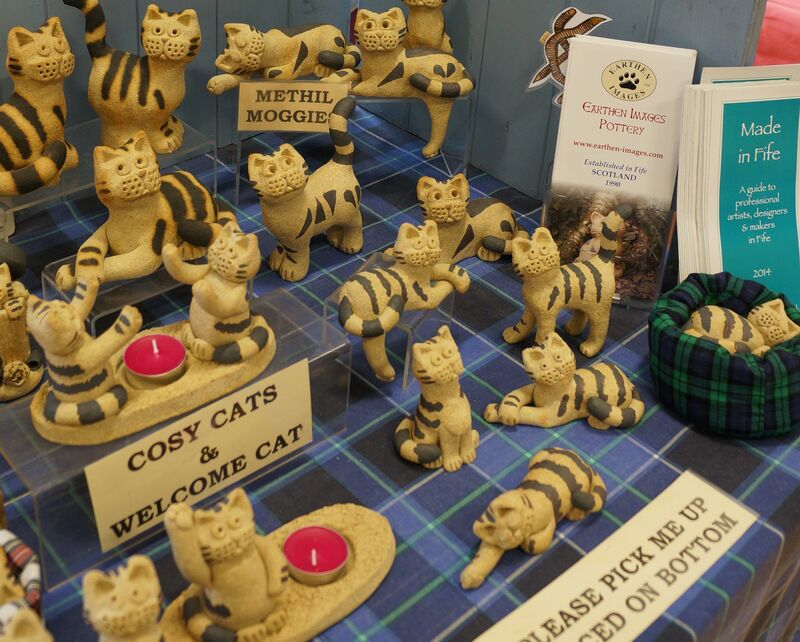 The huge delight with which people took to the ‘Methil Moggies’ at IAI’s last Art & Craft Market pays tribute to the imagination and skill of their creators, Earthen Images. A lovely gift to buy for a loved one to show how much you appreciate them. 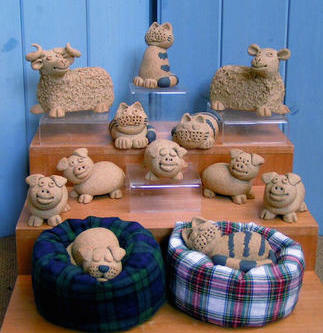 Established in Fife in 1990, all items created by Earthen Images are handmade in stoneware clay, and are suitable for inside or outside display because the clay is vitrified during the firing process. 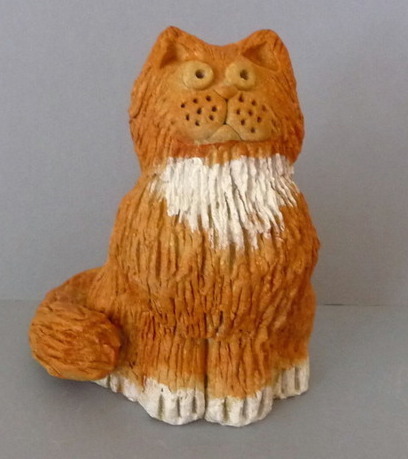 All of the hand painting is done in a red iron oxide, except the small fat cat that is painted in a copper oxide. 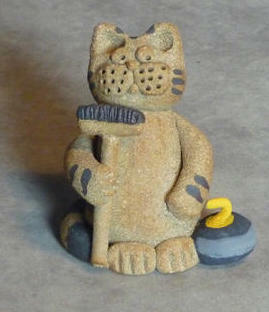 Because every one is hand made and painted, each one is bespoke. Have a look on their website at www.earthen-images.com.